An immense number of digital media assets are created every day by brands looking to engage customers and compel them to purchase, but with hundreds or even thousands of product images on your e-commerce site, no team is immune to the growing complexities of managing these assets at scale. Previous Digital Asset Management tools have been lacking in flexibility and ease of use, but Digital Asset Management is evolving and this is great news for busy content teams, creatives, marketers, and developers who want end-to-end support for the entire asset lifecycle. New solutions are lighter, more flexible, and enable every team that interacts with digital assets to better organize, manage, identify, find, retrieve, and distribute their visual content. 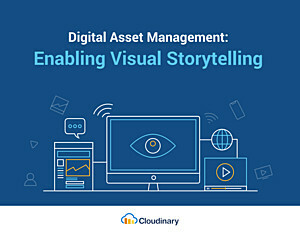 Download our eBook, Digital Asset Management: Enabling Visual Storytelling to learn more about what the next generation of digital asset management holds and how it can help retailers increase time to market, engage consumers, improve conversions, and increase revenue.